Dear Customers! 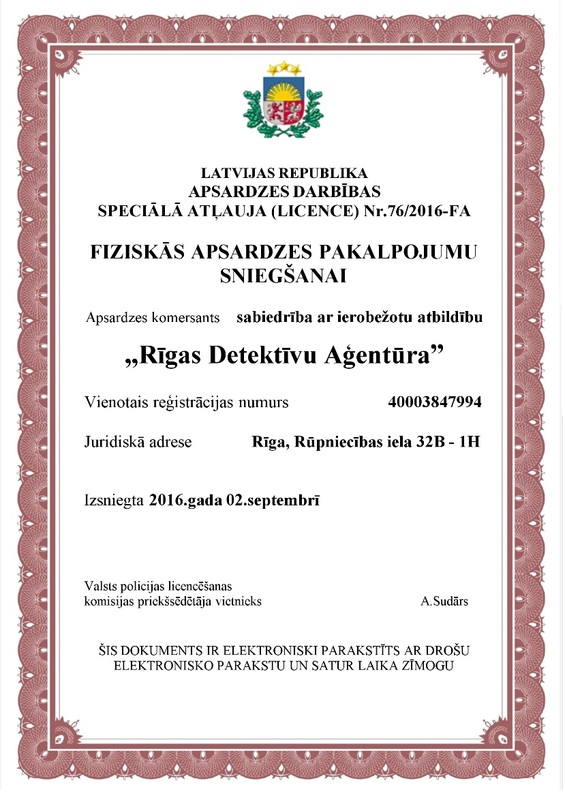 Riga Detective Agency in this year already 12 years old! m.lv.sputniknews.ru for the article: "Not quick help: how take the help from the police in difficult situation"
Thanx to Talented journalist Vladimir Doropheev!!! m.lv.sputniknews.ru l'articolo "Contribuire a rallentare: come ottenere l'attenzione della polizia in una situazione difficile,"
Grazie talentuoso giornalista Vladimir Dorofeev !!! www.detectivenews.org: "Folk wisdom says: "Forewarned is Forearmed!!! Be attention!!! Ask detective's sertificate!!!" 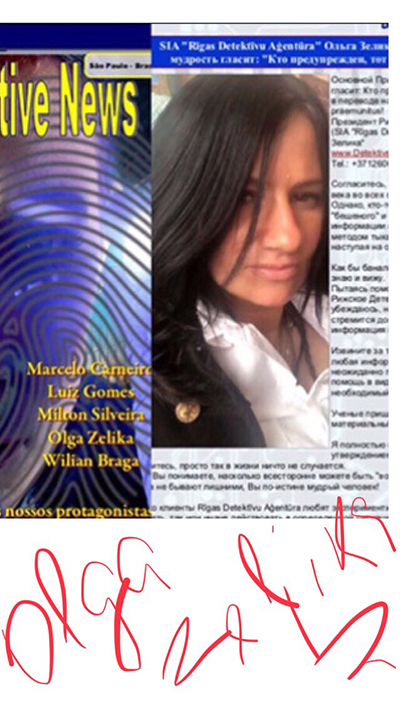 Thanx to the journalist and detective of Brazil Fabio Lacerda!!! "La saggezza popolare dice: "uomo avvisato mezzo salvato!!!" Grazie ai giornalisti e investigatori brasiliano Fabio Latserda !!! 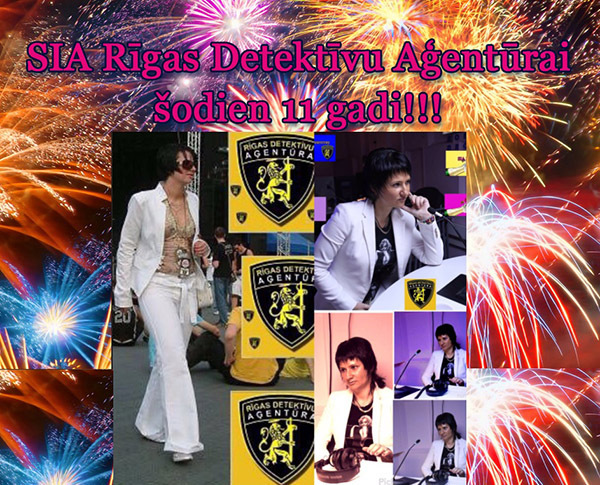 "11 of august 2018 year Riga Detective Agency celebrated 12 year! Sarauy!!!" "11 Agusta 2018 Riga Detective Agency 12 anni! Evviva !!!" 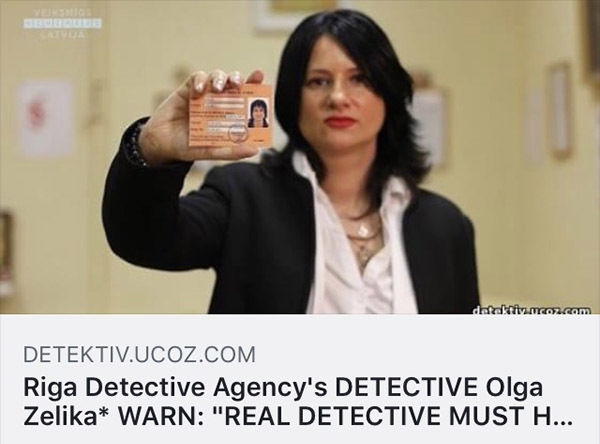 "REAL DETECTIVE MUST HAVE DETECTIVE'S CERTIFICATE! NOT LICENSE!!!" "August 11, 2018 year Riga Detective Agency Birthday 12 years old!!! Hooray!!!" "11 agosto 2018 anno Riga Detective Agency con 12 anni! Bravo!!! "Is it easy to be popular? And why never can switch off telephones?" Thanx from all my heart to Very Talented journalist Liene Skulme. First time in my life i read and cry like child. "è facile essere popolare? E perché non può mai spegnere telefono?" Grazie dal profondo del mio cuore il più talentuoso giornalista Liene Skulme. Per la prima volta in vita mia lettura e piangere come un bambino. Please be attention! 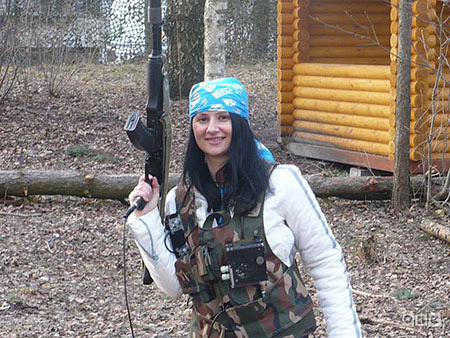 In Latvia work detectives-cheaters, who have no detective's sertificates! 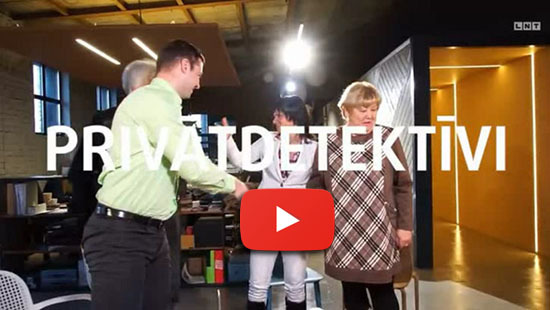 With US in Riga Detective Agency's customers, who injured from detectives-cheaters! Ыtate attenti! Attenzione alle truffe e sulle imprese di detective detective fraudolente!" 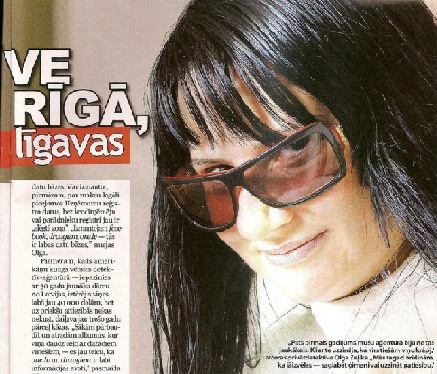 from Riga Detective Agency President Olga Zelika. 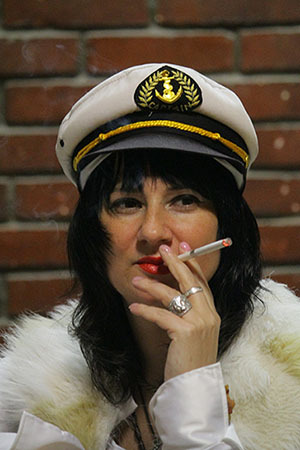 per il Talento Italiano Cantante Gianna Nannini. 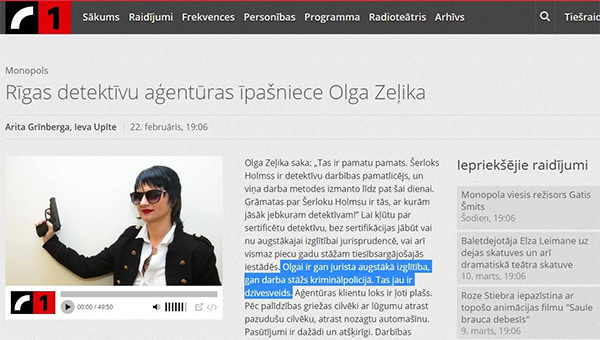 Riga Detective Agency (Latvia) president Olga Zelika* journalist on TV FOKUSS.TV "CRIMINAL NEWS". Together With us in Riga Art Galery are Roman and Alexandr. The Theme about curiosities in internet. Boss of channel WWW.FOKUSS.TV Gintars Kavacis. 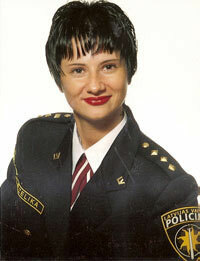 Riga Detective Agenzia (Lettonia) presidente Olga Zelika * leader di trasferimento "Notizia Penale". Responsabile del Canale WWW.FOKUSS.TV Gintars Kavacis. Insieme con noi nella Riga City Art Gallery Alessandro e Romano. Stiamo parlando di cose divertenti su Internet. 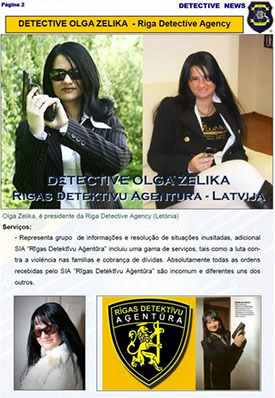 Riga Detective Agency (Latvia) president Olga Zelika* journalist on TV FOKUSS.TV "Crminal News". With US in Riga Detective Agency's office famous journalist of magazine "What News" Elmars Barcans. noto giornalista del publishing lettone "Cosa c'è di nuovo?" Elmars Barkans. 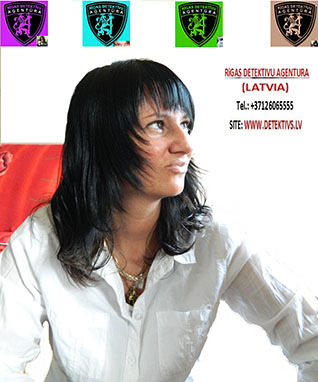 Riga Detective Agency (Latvia) +37126065555 president Olga Zelika* journalist on TV FOKUSS.TV "Crminal News". The THEME DEBTS and the Way of decision!!! 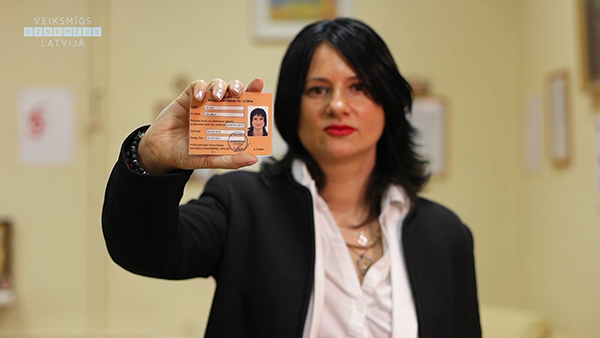 Riga Detective Agenzia (Lettonia) +37126065555 presidente Olga Zelika* leader di trasferimento "Notizia Penale". Сanale WWW.FOKUSS.TV SOGGETTO DI DEBITO e soluzioni. Сanale WWW.FOKUSS.TV SOGGETTO DI DEBITO. 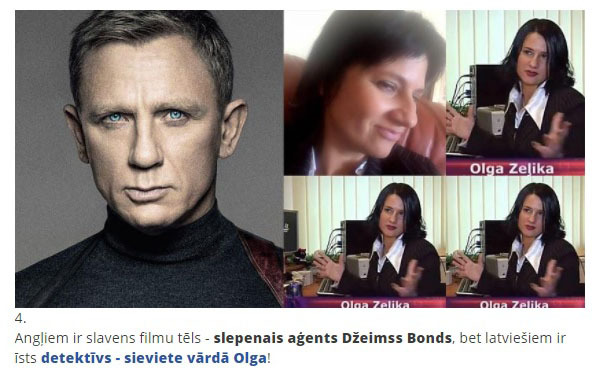 Riga Detective Agency (Latvia) president Olga Zelika* interview specially for TV FOCUS! Thank You, Dear Gintar Cavacis!!! 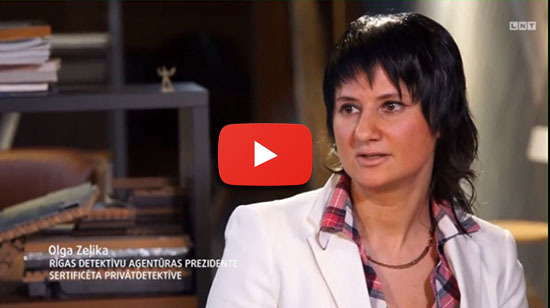 Riga Detective Agency (Lettonia) Presidente, Olga Zelika * interviste appositamente per TV FOKUS! 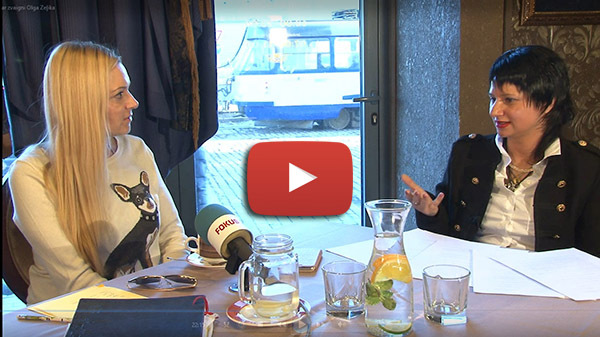 interview specially for "MansMedijs": "I'm not afraid". 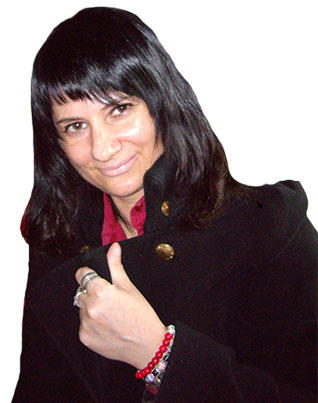 Thank to Super journalists: Sintiya Dzerkale and Linda Berzina. intervista appositamente per "MansMedijs": "Io non ho paura!" Mille Grazie ai Super giornalisti: Sintiya Dzerkale e Linda Berze. 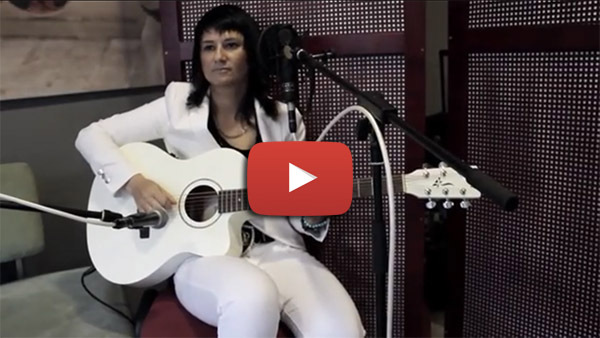 La canzone è composta ed eseguita da Riga Detective Agenzia di presidente Olga Zelika "Andate..."
Dedicato a tutti coloro che amano. Friends, Thank You for support! 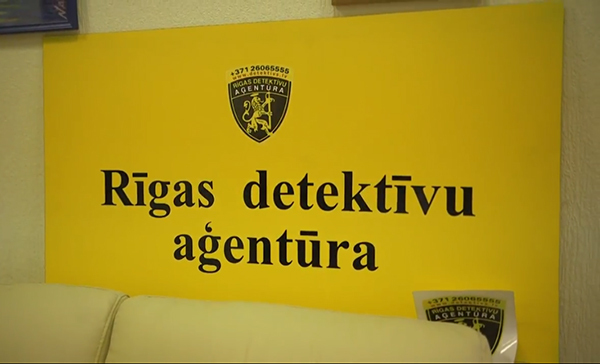 Riga Detective Agency Tel. : +37126065555 continue work previous regime! and for this is punishable under article 157 of the Criminal Code. in the program "Success Businessman in Latvia" with producer Sanita Claymane. 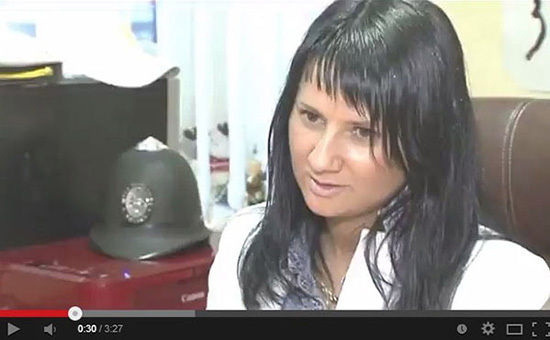 trasmissione televisiva "Un imprenditore di successo in Lettonia" Produttore Sanita Claymane. 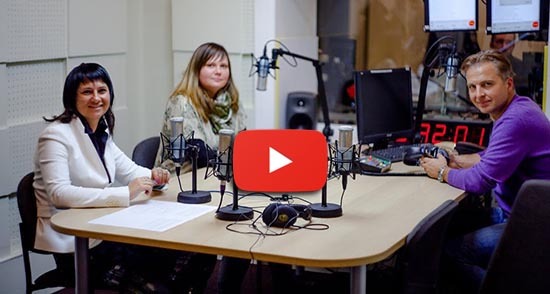 and journalist Alisa Orlova in Latvian Radio 4: "Necessary self-defense"
e giornalista Alisa Orlova in Radio4 Lettone "Necessaria autodifesa!" 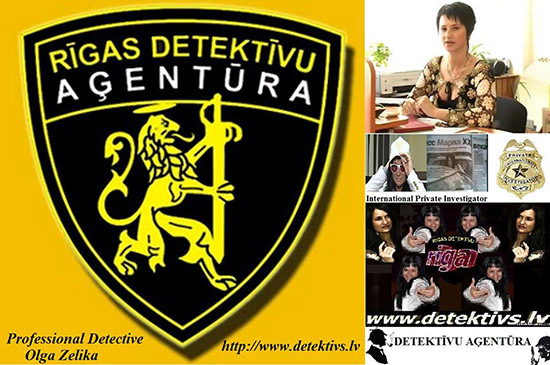 Article: "Dangerous transpher or my dangerous travel to London"
"Trasferimenti pericolosi o il mio viaggio pericoloso a Londra"
Article: "The Way of Riga Detective Agency for 11 Years! Salute!!! Vivat!!!" 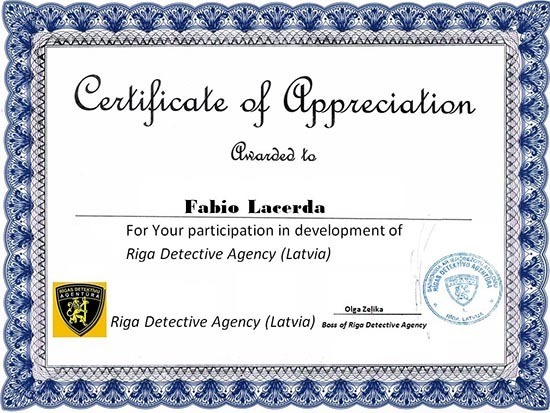 "Riga Detective Agency percorso per 11 Anni. Salut, Vivat!" Article: "Would You want live in Deceit?!" "Ti piacerebbe vivere in inganno?" 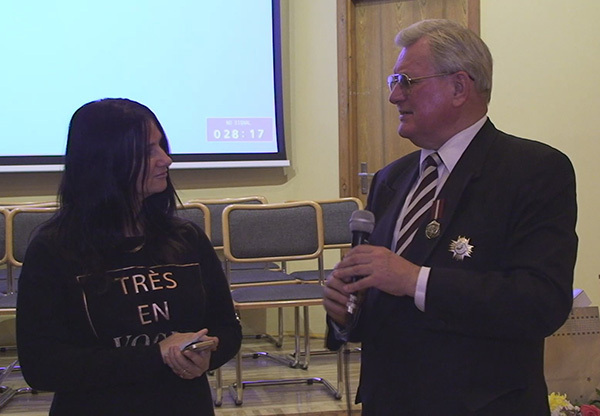 Interview with Riga Detective Agency (Latvia) president Olga Zelika* specially for Latvian Television 1 (LTV1 / LTV.LV) program "Panoram". The theme: "Record can, but publish NO!" Thank to journalist Aiya Kinca! 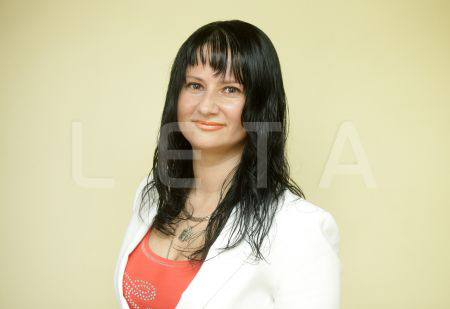 Owner of autor Law is Latvian Television Nr.1! Intervista con il Presidente del Riga Detective Agency (Lettonia) Olga Zelika su Television 1 della Lettonia (LTV1/LTV.LV) nel programma "Panorama". Oggetto: "è possibile scrivere, pubblicare no!" Grazie alla giornalista Aiya Kinca! I diritti di proprietà appartengono al Lettone Television 1! 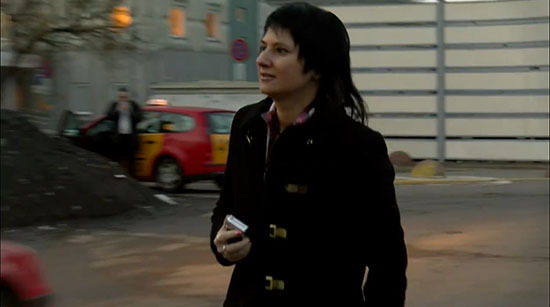 Interview specially for TV24: "Attention! Be attention! Between "DETECTIVES"
are criminals who work out of Law and who work withought special sertificates and licences and no detectives!" 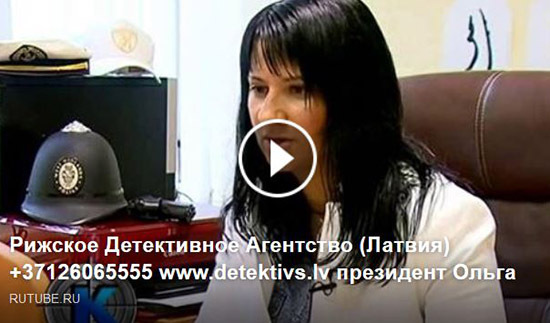 Olga Zelika* against fake detectives, who called themselves for detectives! Intervista soprattutto per i TV24: "Tra gli "INVESTIGATORI" ci sono truffatori che operano senza licenze e certificati e non sono sotto la legge, detective!" 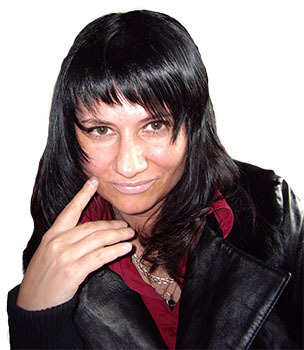 Olga Zelika contro i truffatori che si presentano come detective! 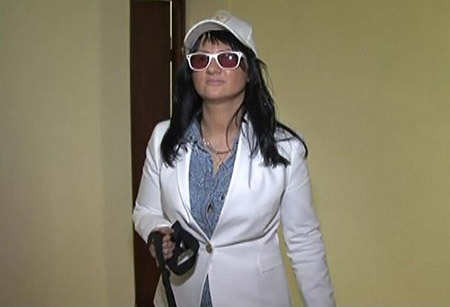 on Latvian Radio 1 program "Monopoly": "Olga has not only high Law education, but experience of work in the crinimal police To be detective this is life style!!!" 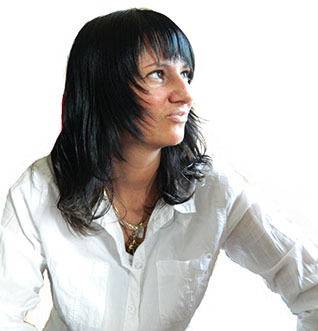 Thanx for super interview to Arita Grinberga! 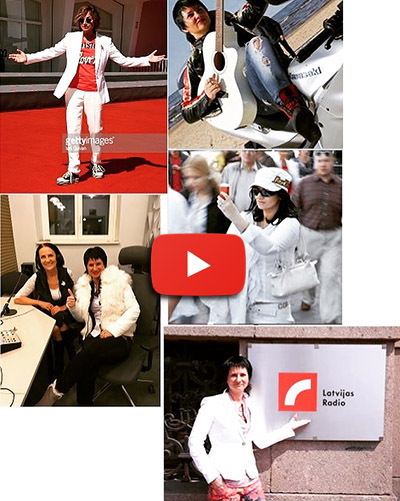 Owner of autor law is Latvian Radio1. 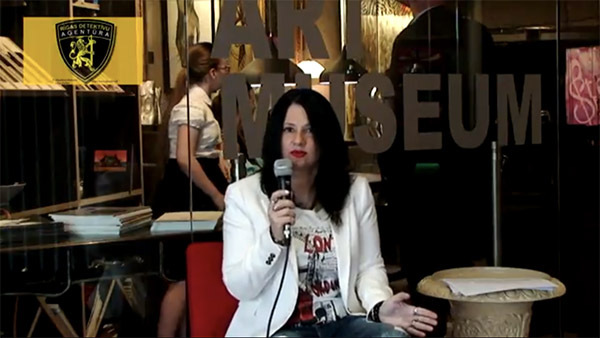 mixnews.lv "Program specially for women!" 08.03.2017. Special Thanx for journalists: Maris Morcans, Vadim Radionov, Andrew Leshkevich and of course to Mihail Goobin!!! mixnews.lv: "Tavola rotonda sulle donne "08.03.2017.
on Latvian Radio 1 program "Monopoly": "Latvia wayting for You Talanted Italian singer Gianna Nannini!" 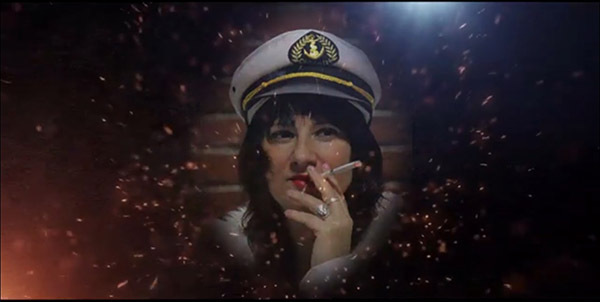 su Radio1 Lettone, asferimento di "Monopoly": "La Lettonia vi aspetta, "Lettonia vi aspetta, cantante di talento in Italia, Gianna Nannini!" on First Baltic Channel "Profession: modern Sherlock Holmes"
Special Thanx to Elina Pilene-Suvorova! sul primo canale TV Baltic "Professione: un moderno Sherlock Holmes"
Speciale grazie a Elina Pilene-Suvorova! 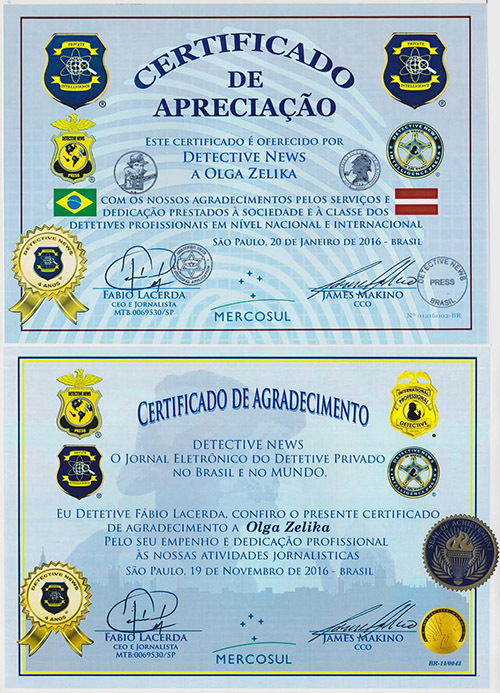 Riga Detective Agency (Latvia) president Olga Zelika in Brasil portal "Detective News"
DETECTIVE NEWS O JORNAL DO DETETIVE PRIVADO NO BRASIL E NO MUNDO. Interview specially for portal "Delfi": "This not serial, but my life!" 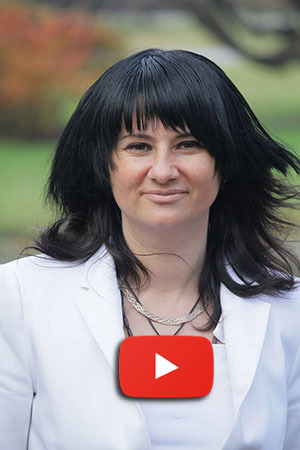 Olga Zelika told, how it be of woman-detective! 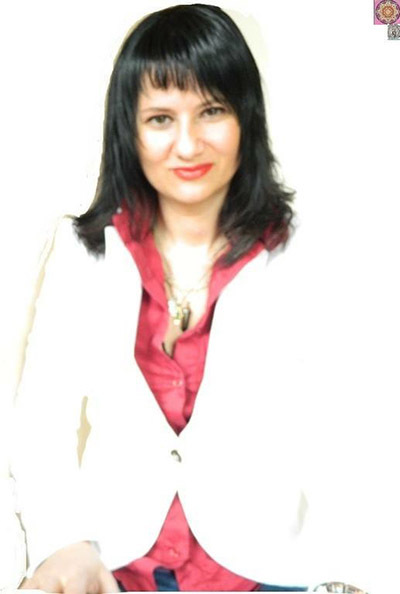 Thank You to journalist Liene Sculme! Intervista per il portale "Delfi": "Questa non è una serie tv e la mia vita." 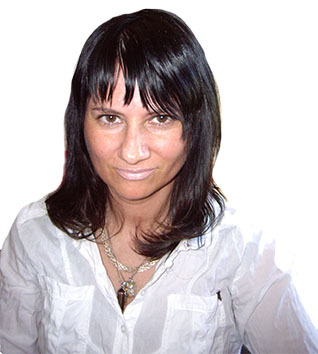 Olga Zelika detto come questo è di essere una donna-detective. 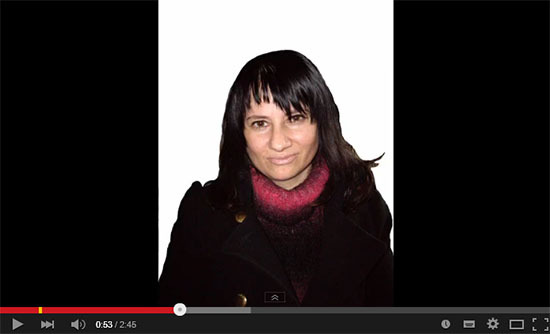 Grazie alla giornalista Liene Skulme! 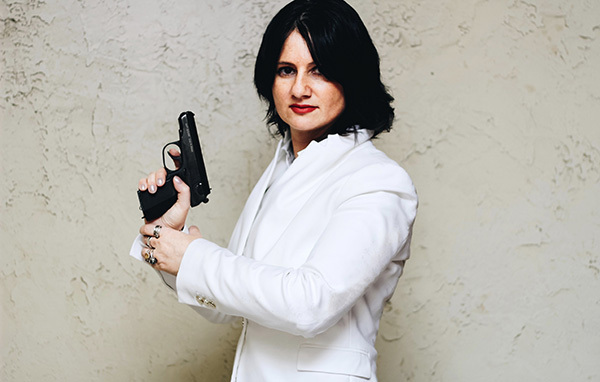 President of Riga Detective Agency Olga Zelika special for magazine "Law and right". The Theme "Adventure of Italian Giovanni from Toscana in Latvia"
specificamente per la pubblicazione di "Diritto e Verità". Tema: "L'avventura dell'italiano Giovanni dalla Toscana in Lettonia"
with journalist Elmars Barcans. Theme: "Adventure of Italian Giovanni from Toscana in Latvia" specially for magazine "Law and truth". 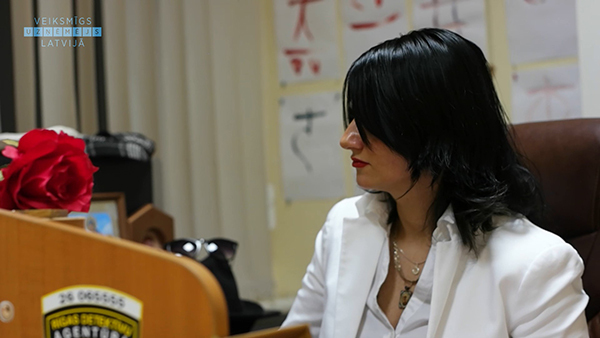 Agenzia Detective di Riga (Lettonia) Presidente Olga Zelika in ufficio con il cliente. Tema: "L'avventura dell'italiano Giovanni dalla Toscana in Lettonia" specially "Law and truth"
of Latvian Radio 4: "Riga Detective Agency already 10 years!" 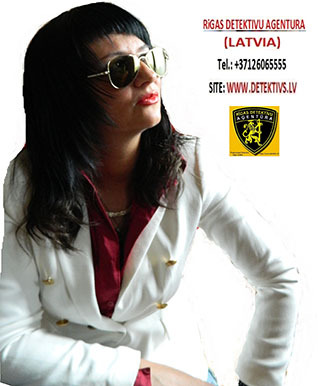 in Radio4 Lettone "Riga Detective Agency 10 anni!" 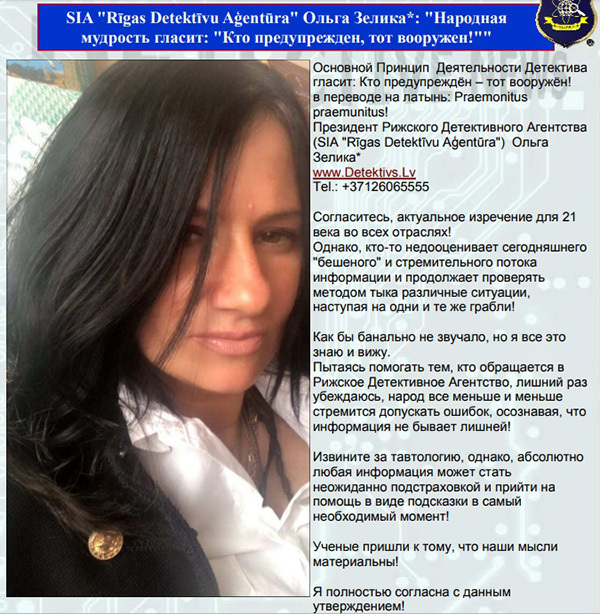 Detective Olga: my job not serial, but real life! 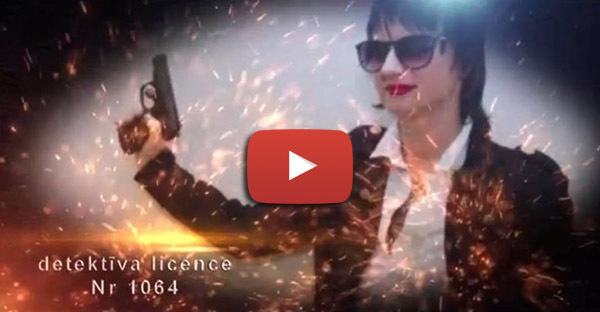 Detective Olga: il mio lavoro non è seriale e la vita reale! The Theme "Risk of dating in bars"
pubblicazione di "Diritto e Verità". Argomento: "Il pericolo di incontri a bar"
Theme: "How are You, Constance?" specially for magazine "Law and truth"
Tema: "Come stai, Constance?" 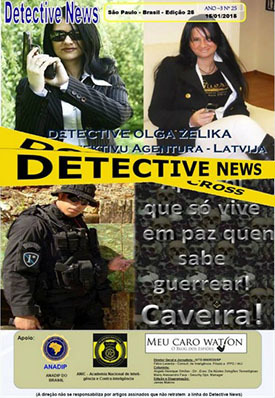 specially "Law and truth"
in Brasil portal "Detective News" with journalist Fabio Lacerda. Thank You, Fabio! 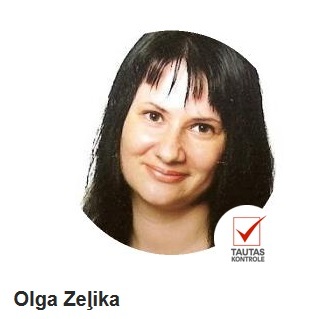 President of Riga Detective Agency Olga Zelika like expert on Latvian Radio 4. 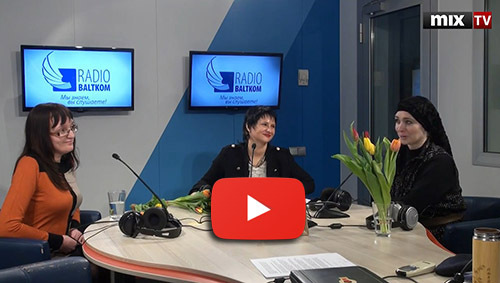 The theme: "Expert warned parents from publications on the web photos of their children"
Presidente di SIA "Rīgas Detektīvu Aģentūra" Olga Zelika nel ruolo di esperto di lettone Radio 4. Tema "Esperto in guardia i genitori da foto online di pubblicazioni dei loro figli"
Presidente di SIA "Rīgas Detektīvu Aģentūra" Olga Zelika nel ruolo di esperto di lettone Radio 4. Tema "Esperto in guardia i genitori da foto online di pubblicazioni dei loro figli"
specially for newspaper "MK Latvia". 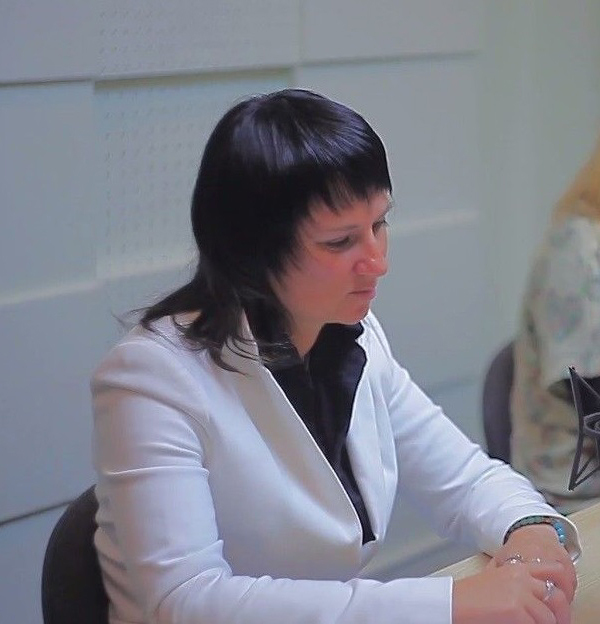 The theme: "Private investigations"
Interwiew with Riga Detective Agency (Latvia) president Olga Zelika "Law and right". 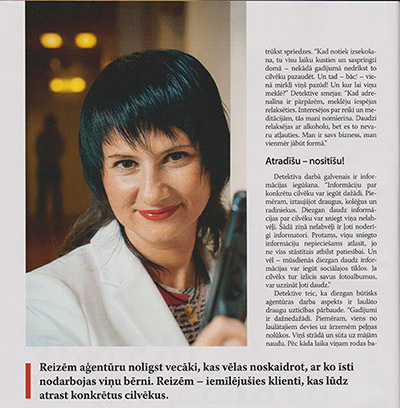 in magazine "Image": "Modern Agatha Christie"
in portal "Latvijas Vestnesis": "Detective's serviss. Posibilities, prices, limits." 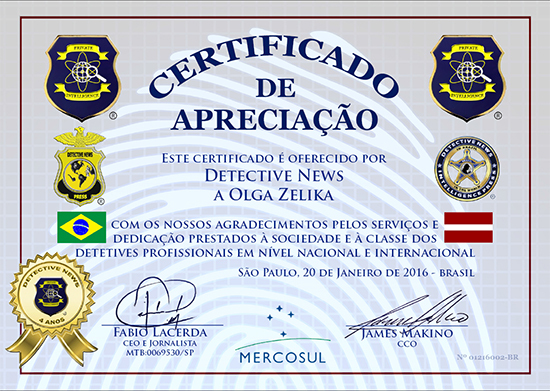 on TV "LNT" program "Degpunkts"
"Detective News" with journalist Fabio Lacerda. 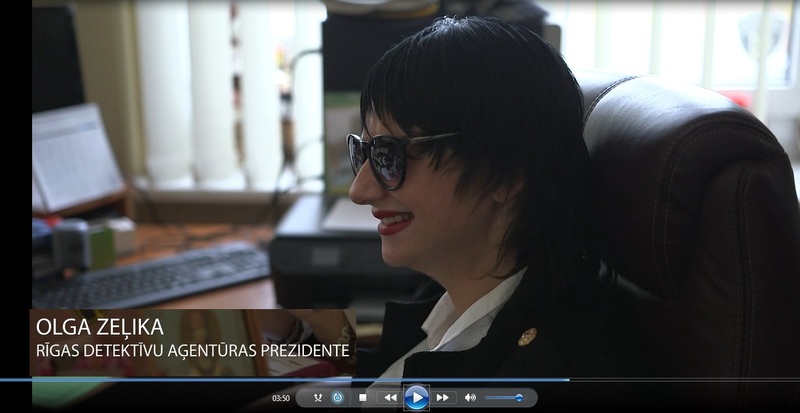 Riga Detective Agency (Latvia) president Olga Zelika on TV KIWI. 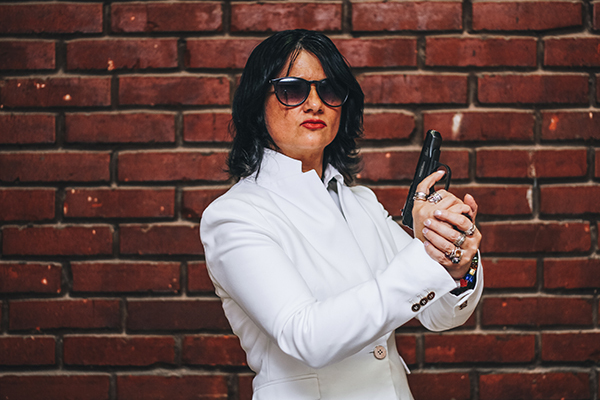 The Theme "Who are Detectives"
for magazine "Truth of life": "This not stress, this is adrenalin!!!" "Child must be with him mother!" 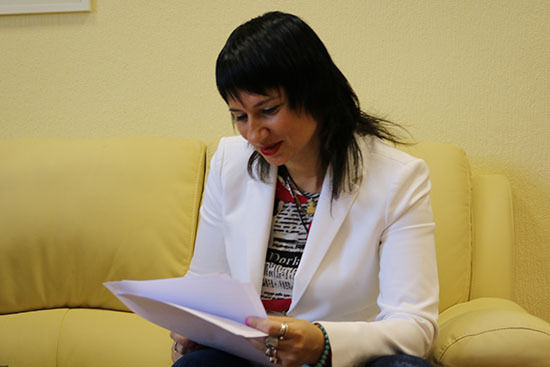 Riga Detective Agency (Latvia) president Olga Zelika on TV3 "Withought Taboo"
Riga Detective Agency (Latvia) president Olga Zelika in Latvian Radio 4 "Open question"
with Constantin Kazakov "Child must be with him mother Constance!" "That not to lose son, him mother needed that he lives in England"
Olga Zelika and customer Constance Calninya specially for portal "VESTI"
"Familie's tragedy: the father stole child from child's mother"
"That not lose the son, his mother had to go with him to England "
internet-portal www.lvportals.lv about debitors: "Give back money!" 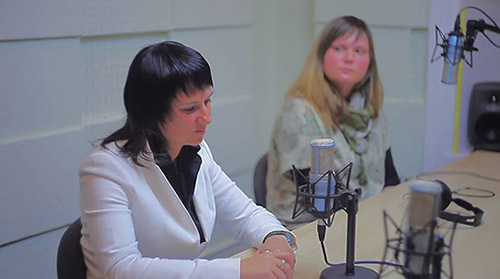 in Latvian Radio 4 "Open question" with Constantin Kazakov "People search!" 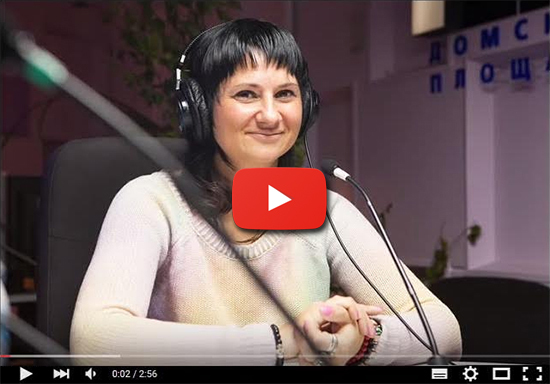 sulla trasmissione di Radio 4 Lettone di Konstantin Kazakov, "alla ricerca di persone"
"Open question" with Constantin Kazakov "Children's security!" in TV 5 "Criminal+". Theme "Burglary from apartment"
TV5 trasferire il nostro "Criminal+". 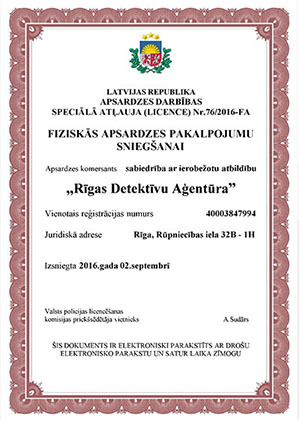 Il tema "Furto con scassoi"
Interview with Riga Detective Agency (Latvia) Olga Zelika "The listening devices BOOM"
Interview with Riga Detective Agency (Latvia) Olga Zelika "That receive status of permanent resident of Latvia woman took money from friend and don't give back!" "What does it means to be private detective?" "In people's life impossible to live without lies!" Thank You Talant journalist Anatoly Ermolin. with journalist from newspaper "What news?". durante interviste con la casa editrice "Kas Jauns?" ("Che cosa è nuovo?"). Il tema degli "Affari di famiglia". in TV "Kriminal-Inform" with journalist Denis Denisov. Theme "Debts". TV5 trasferire il nostro "tema" con il giornalista Denis Denisov. Il tema "Debiti". 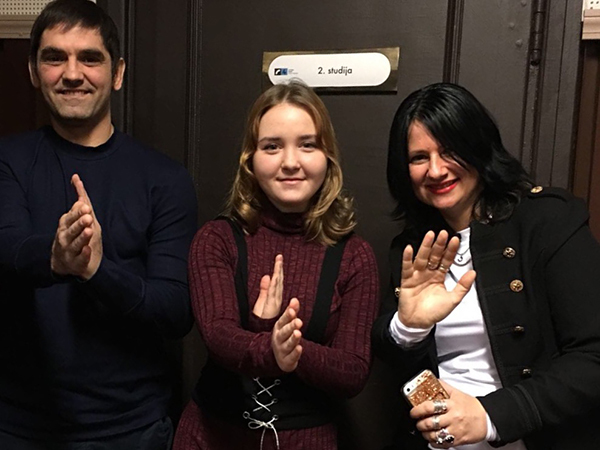 Riga Detective Agency (Lettonia) +37126065555 presidente Olga Zelika TV "Possono"
Riga Detective Agency (Latvia) president Olga Zelika Latvian Radio 4 "Open question" with Constantin Kazakov and Alisa Orlova "Criminals against chlildren!" 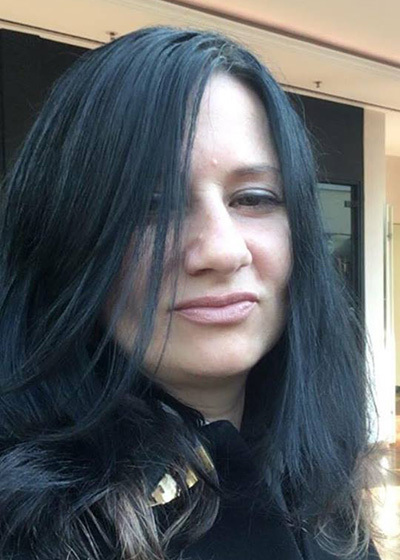 Agenzia investigativa di Riga (Lettonia) +37126065555 Presidente Olga Zelika sulla trasmissione di Radio 4 lettone di Konstantin Kazakov, giornalista Alice Orlova "domanda aperta"
(da 03.04.2015.). Discutendo l'argomento di pedofili! 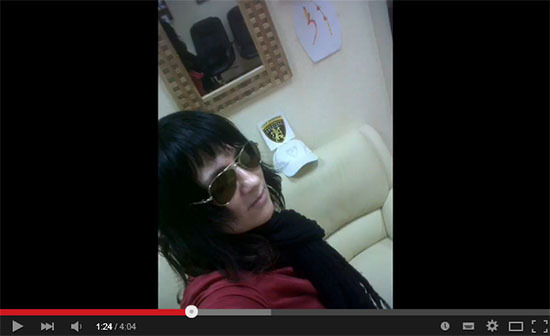 Riga Detective Agency +37126065555 president Olga Zelika in TV "Kriminal-Inform"
with journalist Denis Denisov. Theme "Debts"
il nostro "tema" con il giornalista Denis Denisov. 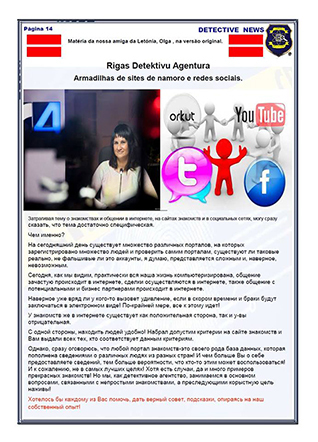 Il tema "Debiti"
Riga Detective Agency (Latvia) in TV program "Criminal-Inform"
Riga Detective Agency (Lettonia) nella trasmissione di reato Inform. 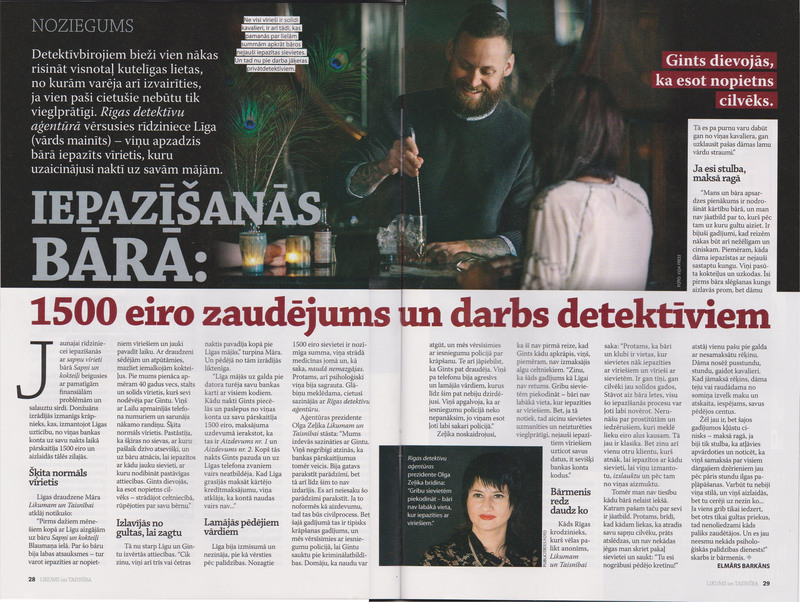 Interview with Riga Detective Agency president Olga Zelika in magazine "Zintnieks"
Olga Zelika in TV5 "Work with debts"
President of Riga Detective Agency (Latvia): Our help if problems in families! 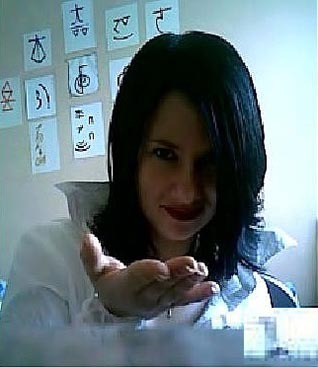 To You help Riga Detective Agency! 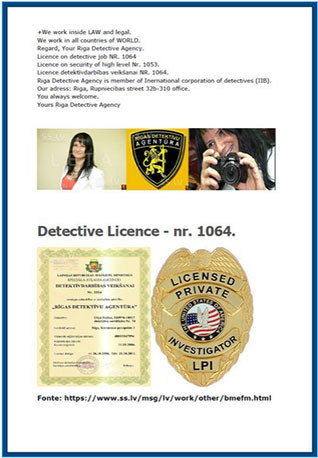 Riga Detective Agency's president Olga Zelika "Foreign citizens ask to Riga Detective Agency to check reputation of business partners"
Interwiev with Riga Detective Agency's president Olga Zelika "Riga Detective Agency: foregn businessman attracts in Latvia favorable taxation"
Interwiev with Riga Detective Agency's president Olga Zelika "Latvia believes to private detectives, but limit in work them!" 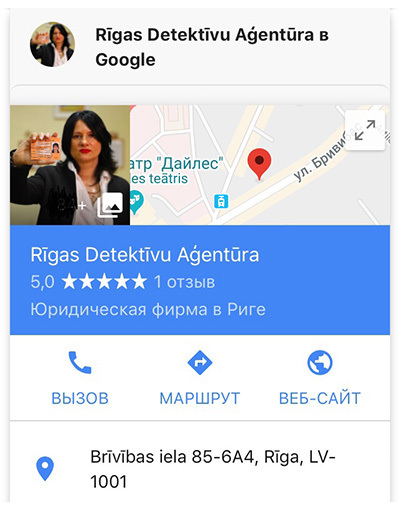 Riga Detective Agency's customers often want to check them partner's reputation! in TV LNT "Good evening, Latvia!" Please be attantion! 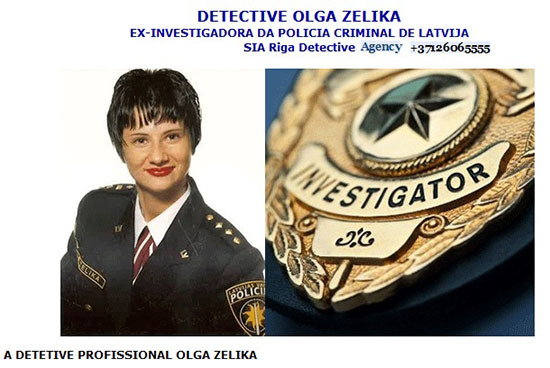 In Latvia are "detectives-criminals (swindlers)"
newspapers "7 of secrets" and "Leads"
Olga Zelika in magazine "Stella"
Interwiev with Riga Detective Agency's president Olga Zelika "What is Detective job"
"Liers in love for money"
president Olga Zelika "Liers in love for money"
president Olga Zelika in "MK LATVIA"
Why Swedes are interested in our telephone conversations? Riga Detective Agency (Latvia) Olga Zelik in magazine "Klubs"
Detectives in the protection of women on DELFI portal! 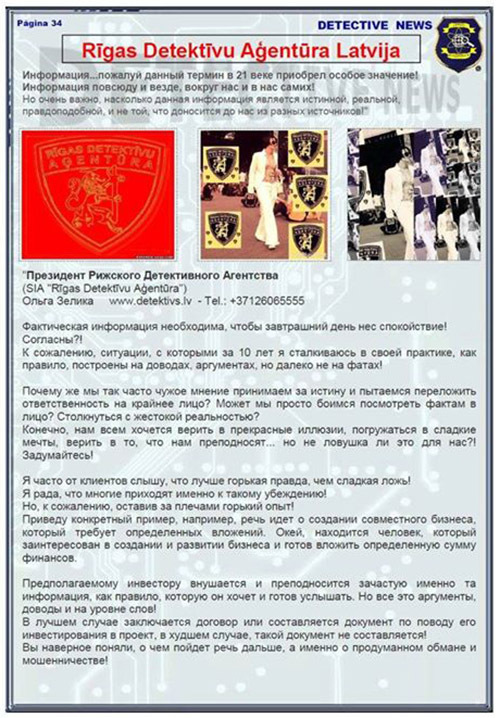 "Violence in the family" Magazine "Praktiskais latvietis"
Interview with the private detective Olga Zelik in magazine "IEVA"
Interview with the private detective Olga Zelik in newspaper " СУББОТА "
Interview with the private detective Olga Zelik in magazine "UNA"
Olga Zelik in magazine "Komersanta vēstnesīs"